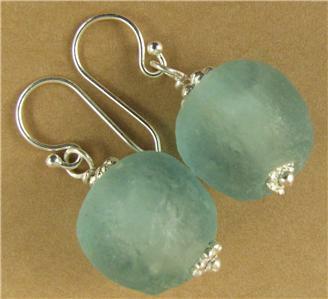 Home › Earrings › Turquoise / light blue African glass bead earrings. Sterling silver. 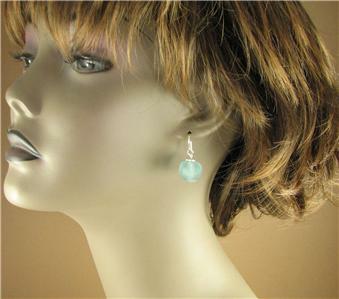 Turquoise coloured African glass bead earrings. Sterling silver. 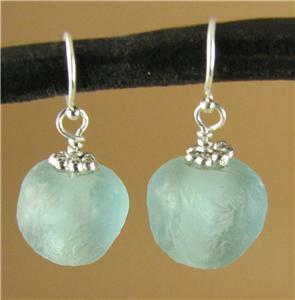 The African beads are light turquoise colour glass. They have been handmade in Ghana. 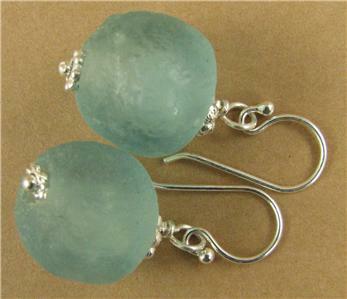 The ear hooks and the silver wire inside are all sterling silver. 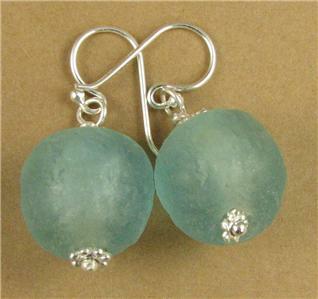 The glass beads are all handmade, and therefore vary slightly in size and shape, so each pair will be slightly different. They are approximately 18mm across. 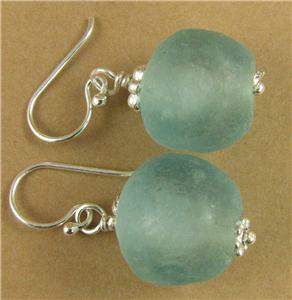 The earrings are around 3cm long, from the top of the hooks.